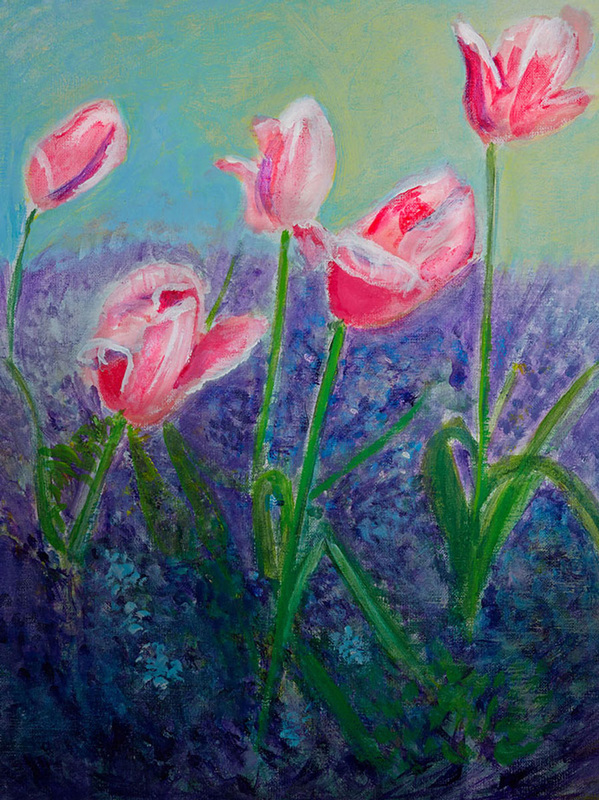 My deep love for the light found in French Impressionist art, took me to Monet's garden in Giverny, France to paint. Even though it was early spring, as I painted outside, my hands and feet felt frozen with the chill of the last wind of winter. The pink and green colors represent the colors of the Heart Chakra. The painting supports the healing of the heart set in the background of rebirth from early Spring's first bloom.